Building materials non-flammable test furnace is designed and produced according to GB / T5464-2010 / ISO1182: 2002 standard. It is used to test non-flammability of the main components of homogeneous building products under specific conditions. 1, So that the furnace temperature equilibrium, if the logger can not be calculated in real time, the final temperature should be checked whether the balance. 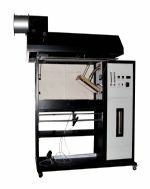 2, Before the test should ensure that the entire device is in good working condition, such as a steady flow clean air flow, the device can be smoothly inserted into the slide, the sample holder can be accurately located in a predetermined position in the furnace. 3, Prepared according to a predetermined and regulated by the state of the sample into the sample holder, the sample racks suspended from the support member. The sample holder into a predetermined position in the furnace, the operation time should not exceed 5s. When the sample is located in a predetermined position in the furnace, immediately start the timer. 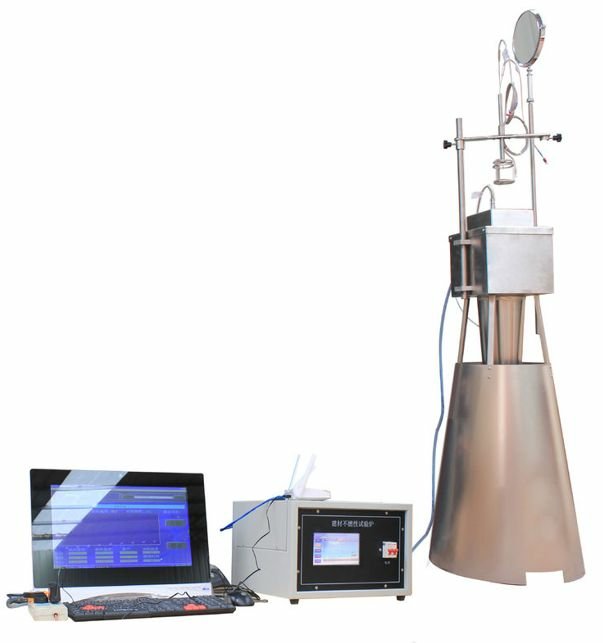 Recorded during the test furnace thermocouple temperature measurement, such as the requirement to measure the surface temperature of the sample and the center temperature, corresponding to the temperature it should also be recorded. 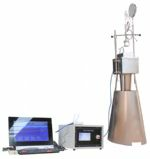 4, Carried 30min test, if the furnace temperature reaches the final equilibrium temperature in 30min, that is measured by a thermocouple temperature drift (linear regression) within 10min of not more than 2 ℃, you can stop the test. If unable to reach equilibrium within 30min, the test should be continued, while every 5min check whether the final temperature equilibrium, when the furnace temperature reaches a final equilibrium temperature or testing time reaches 60min end of the trial should be. Recording duration of the test, the sample holder and then remove from the heating furnace, the end of the time trial for the end time of the last 5min or 60min. Temperature should be checked after the end of the test record if the logger can not be recorded in real time, test. If it can not meet the above requirements, it should be re-tested. If an additional test using a thermocouple, the thermocouple should all have reached the final temperature equilibrium or when the test time was 60min when the end of the trial. 5, The collection and after the test specimen cracked or falling all carbides, ash and other debris, together with the sample into the drying vessel was cooled to ambient temperature, weigh the residual mass of the sample. The quality of each sample were recorded before and after the test and observing the combustion behavior recorded during the test specimen. Sustained fire occurrence and duration records, accurate to the second. Sample shows a continuing 5s or longer continuous flame on the surface it should be regarded as sustained fire. 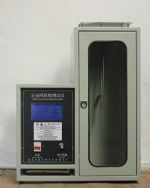 6, The following furnace thermocouple to measure the temperature, in degrees Celsius, the initial furnace temperature T1, average temperature last 10min predetermined temperature balance of the furnace; furnace maximum temperature Tm, the maximum temperature throughout the test discrete value; the final furnace temperature Tf ,. The temperature during the test last 1min average. Fourth, the end of the trial, finishing the test furnace wipe clean for the next use.